The B. melitensis strain 16M (Biovar 1, ATCC 23456) genome was the first to be sequenced, closed, and annotated from among the six Brucella nomen species.1-1-4 This was followed by the genome of B. suis strain 1330 (Biovar 1). The total genome size of B. melitensis is 3.30 Mb, similar to that of B. suis (3.31 Mb). The genome of B. melitensis is distributed over two circular chromosomes of 2.12 and 1.18 Mb, whereas that of B. suis is distributed at 2.11 and 1.20 Mb. 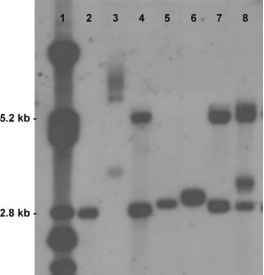 [4,5] Their chromosome maps can be accessed at NCBI (http://www.ncbi.nlm.nih.gov/genomes/MICROBES/ Complete.html).